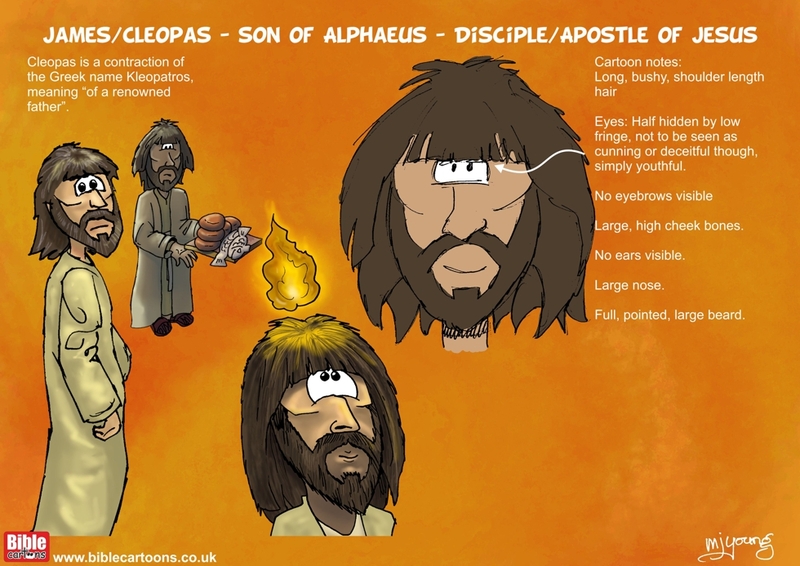 Here are ALL of the Bible Cartoons I have drawn with James/Cleopas (son of Alphaeus) [Disciple/Apostle of Jesus] in them. Click on a cartoon to view/buy it. Please click the link below to ask for Bible Cartoon(s) that you need. Subscribe to the Bible Cartoons mailing list to receive a quarterly newsletter and occasional emails with artwork, offers, discounts, goings on, and information that might help you. Bible Cartoons, Gospel Illustrations and Meta4 Pictures designed, drawn and coloured by Martin Young. All artwork, pictures and contents Copyright © 2018 - 2019 Martin Young. Competition for 5 free Bible Cartoons: What percentage of the Bible do you think I have managed to draw? Bible Cartoons, Gospel Illustrations, Meta4 Pictures, Maps and pretty much everything else on this website drawn and coloured by Martin Young!